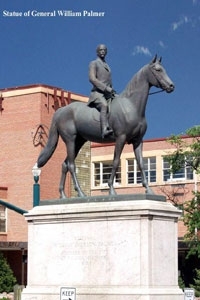 Sitting against the majestic backdrop of Pikes Peak and the Colorado Front Range, Colorado Springs, located south of Denver, is the largest city in El Paso County. Both a university town and home to the US Air Force Academy, it’s both a great place to visit on vacation as well as a great place to live and raise a family. Founded in 1871 by General William Palmer with the intention of creating a quality resort town, it quickly became one of the most popular vacation destinations for both domestic and foreign travelers in the late 1800’s. It also became known as a popular locale for those seeking health and rejuvenation in the dry, high altitude climate. But prior to this, the wealth generated by the Gold Rush in the mid 1800’s allowed for the city’s infrastructure to be afforded and built before the town actually developed, creating large stone structures on wide, planned out streets. Eventually this became known as the downtown area of Colorado Springs and was quickly surrounded by what is now Colorado Springs. During WWII, Colorado Springs became home to it’s first military installation, Camp Carson (later Fort Carson), followed by the establishment of Peterson Air Field during the Korean War. In 1954 President Dwight D. Eisenhower established the US Air Force Academy in Colorado Springs. The area has grown quickly since the increase in military installations over the years. The areas economy is driven primarily by the military and tourism. The high tech industry boomed in the area the past 10 years but seems to be softening now as some companies have left the area. Service companies and call centers for the communications and financial industries increased during the past 10 years as well. Voted one of the ‘10 Best Places to Live’ in 2006 by Money Magazine, it also was seen as one of the ‘10 Fasted Growing Economies’ in 2006. 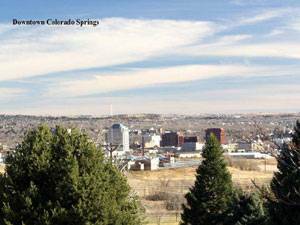 Colorado Springs calls itself “business friendly municipal government’ and works actively to encourage new and expanding businesses to relocate to the area. In June of 2008 - 2009, there were close to 6000 home sales, averaging $370,000 in price. While the area is certainly feeling the impact of the current economic down swing, there is still much activity in the area’s home buying and selling market with only 90 days average for homes to sell. 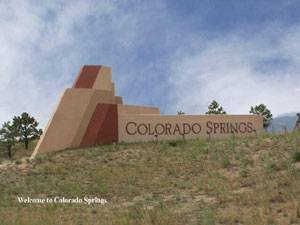 In a 2007 census there was close to 200,000 housing units in Colorado Springs, with a ¾ occupancy rate.